I am not a fearful person. I’m not afraid of roaches. I’m not afraid of spiders and have been known to pick them up by their legs and toss them out of the house onto the grass. I’m not afraid of snakes and have enjoyed the cool squeeze of a constrictor as it wrapped around my torso. While I do not like the idea of suffering, I am not afraid of death. I’m not afraid that someone will try to steal my child. I’m not afraid of fire and, once, in a New Orleans restaurant, a waiter whisked away my pretty red candle because I kept pouring hot wax onto my palm (and the fancy tablecloth). I’m not afraid of the dark and have taken long walks on overcast nights when there is no moon or stars. I’m not afraid of thunder and lightning, and while a young’un at Camp Seneca Lake, I used to run outside into torrential downpours with a bottle of shampoo to wash my hair while the sky reverberated and flickered. (I didn’t say I was smart; I just said I wasn’t scared.) There are plenty of other things I’m not afraid of. I am, however, terrified of lice. 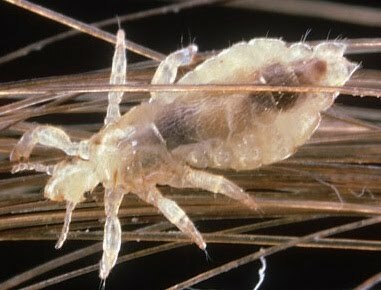 My fear of lice is partially irrational because I have never had them, but I have known many families who have been afflicted, and I am smart enough to know that I never want to meet a dirty, blood-sucking louse. I have heard the tales of woe: how the damn things keep coming back even after people picked-nits and bagged favorite pillows, washed towels and linens, even threw out hair brushes, combs and expensive hair accessories. I have long, thick, curly hair and it seems like clippers would be inevitable. Like Samson from the Old Testament, I am nothing without my hair, so every time that damn letter comes home saying someone in my child’s class has contracted lice, I feel a little sick inside. The tiny bugs, no bigger than sesame seeds, spread easily among children who are most likely to come into close head-to-head contact with one another. So while I don’t fall into the “at-risk category,” I do have a 10-year old son who ships out to summer camp each year for three weeks, so I feel my worries aren’t completely unwarranted as someone always comes home with the little buggers. My good friend has sworn on a bottle of Quell that in the unlikely event I should ever contract lice, she would be my nitpicker. She is a very good friend. So while I am still revolted by the possibility that lice could come into my life, I feel armed with more information and as children head off to summer camps across this great land – perhaps, this cheap and seemingly effective treatment might bring some relief to other moms who live in fear of lice. 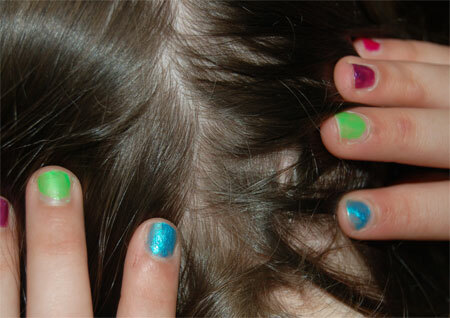 Is it just me or is anyone else’s head really itchy?